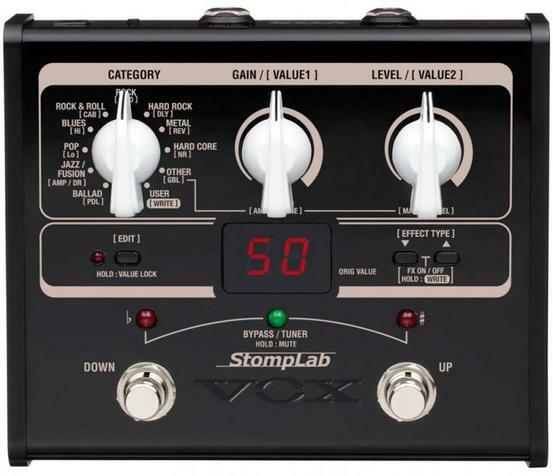 The STOMPGI is a multi-effects pedal packed with sounds and designed for guitarists. It features 100 preset programs and 20 user programs you can edit and save, using up to eight effect models simultaneously. Also features a built-in chromatic tuner and can be battery or mains powered.